Enjoy FOUR BIG DAYS of the 42nd annual La Crosse Boat, Sports, Travel, RV & Hunting show, held this year from February 7th – 10th, 2019 in La Crosse, WI at the La Crosse Center. This show fills the entire complex and displays all makes and models of recreational vehicles including those for land, water, and those that can handle both! The entertainment and seminars offered at this show really set it apart, with guest appearances listed below and several exhibitors that bring everything from the great outdoors to this one event. This show ad gives you a lot of information at a glance and be sure to read on to learn more. Your friendly WACO staff will be at Booth 43. 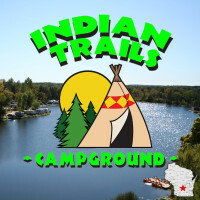 Be sure to stop by and grab a 2019 WACO Directory, learn about upcoming events, and if you’re a campground owner, become a member! Parking – there are three city parking ramps located near the La Crosse Center and parking is free on weekends. Check here for directions/week day pricing. Each year, the La Crosse Boat, Sports, Travel, RV & Hunting show boasts celebrity appearances and entertainment – this year is no different! Don’t miss your chance to meet Time Bandit Captain Johnathan Hillstrand as seen on Discovery Channel’s Deadliest Catch, who will be appearing for the first time ever in La Crosse on Friday/Saturday. There will also be an Extreme Raptor Show, a Predators & Prey Exhibit, the colorful Parakeet Landing, and grilling presentations by Mad Dog & Merrill. You can even have your rack scored FREE OF CHARGE by Boone & Crockett Pope & Young. It’s all at the show along with hunting & fishing seminars from top professionals in their fields. The kiddos will enjoy the colorful Parakeet Landing and fishing at the Rainbow Trout Pond – and FREE face painting and balloon animals with Cherri Merri Muffin! 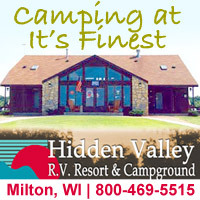 Anyone who loves the great outdoors will find some value in attending this extremely diverse show – purchase your next RV, boat, or hunting gear; see what great campgrounds are available in WI, or simply enjoy the entertainment! La Crosse, WI is a beautiful balance between small-town life and city action, nestled along the Mississippi River and between the Bluffs. They boast great food, distillery and local brew pubs, a host of activities for your family, and silent/outdoor sports abound. While you’re in town for the show, be sure to get a little glimpse of what the area has to offer! La Crosse County is full of dining options! From small, locally-owned restaurants to well-known chains. Some are farm-to-table and others serve up some serious comfort foods of our youth. You will not leave this show hungry! The expo has partnered with Radisson, so be sure to check their rates first as they are quite literally onsite! There are plenty of lodging options if you’d like to stay away from the hubbub of the show and get out a little closer to other entertainment you’ll be enjoying.